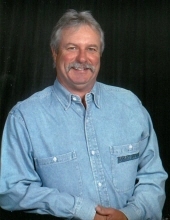 Shannon, Timothy Martin, 67, Sweeny, TX, passed away to be with friends and family who have gone before him. He is preceded in death by his mother and father, Margaret Dawsey and Raymond Lawrence Shannon. He is survived by his sister, Mary Shannon MacMichael; brother-in-law, Tom; his niece, Shannon MacMichael Goshorn and her husband, Adam; Tim’s great-niece, LuLu; step–children, Stacy Chesser, Tracy Skinner and Stephen Fox; and their mother, Kathy Shannon; along with several step-grandchildren and longtime friend, Debbie Parsley. Tim grew up in Bellaire, TX attending Holy Ghost Elementary School, St. Thomas High School and after a brief year of college at the University of St. Thomas, Tim began his career at American Metals in 1974. He became a member of the Pipefitters Union #211 and worked in this field until his retirement in 2016. Throughout Tim’s career, he travelled to many states for various jobs at different plants and projects, building pipe-related heavy infrastructure. Some of these included nuclear power plants, oil refineries, mills, and anything related to processing and transportation of oil, gas and industrial liquids. Tim loved, hunting, fishing, cars and motorcycles, especially his 1961 Corvette, still in rebuilding mode, and his Harley Davidson motorcycle. A lifelong Catholic, Tim was a faithful member of Our Lady of Perpetual Help Catholic Church in Sweeny, Texas. He participated as a Lector in Mass, holding up the bass section in the church choir. He was a Knight in the Knights of Columbus, and enjoyed food and fellowship with the SOAR (Seniors On A Roll) group in his parish. Tim was a generous donor to many charities and causes. He cared about others and helped in any way he knew how and whenever called upon. Special thanks to the many doctors, nurses, patient care assistants and numerous friends and family who have supported us through Tim’s struggle. Many thanks to Tim’s friends who have blessed him and us with their presence at his sick bed, along with phone calls and texts. He has appreciated them all. Visitation and saying of the Rosary will be led by the Knights of Columbus and will be held on Wednesday, January 30, 2019 from 5:00 pm to 7:00 pm, with the rosary being recited at 7:00 pm, at Baker Funeral Home in West Columbia. Mass will be served by Father Daniel Baguio at Our Lady of Perpetual Help Catholic Church in Sweeny, on Thursday, January 31, 2019 at 9:30 am. A reception will follow in the Fellowship Hall. All are welcome to attend. A private family burial will take place at Forest Park Lawndale Cemetery at 2:00 pm on Thursday. In lieu of flowers donations can be made in Tim’s name to Our Lady of Perpetual Help, 310 N McKinney St, Sweeny, TX 77480. To plant a tree in memory of Timothy Martin Shannon, please visit our Tribute Store. "Email Address" would like to share the life celebration of Timothy Martin Shannon. Click on the "link" to go to share a favorite memory or leave a condolence message for the family.